In the image, from left to right, are: Dr. Eaman Karim, Kevin Mecadon, Dr. Fuh-Wei Tang, Professor Joseph Silverman, Dr. Byron Lambert, Devyn Catterton, Professor Mohamad Al-Sheikhly, Dr. Zois Tsinas, Dr. Travis Dietz, and Dr. Slavica Grdanovska. Members of the Al-Sheikhly and Silverman Lab Groups enjoyed the Thursday night banquet of the 2nd International Conference on Ionizing Processes this past week. 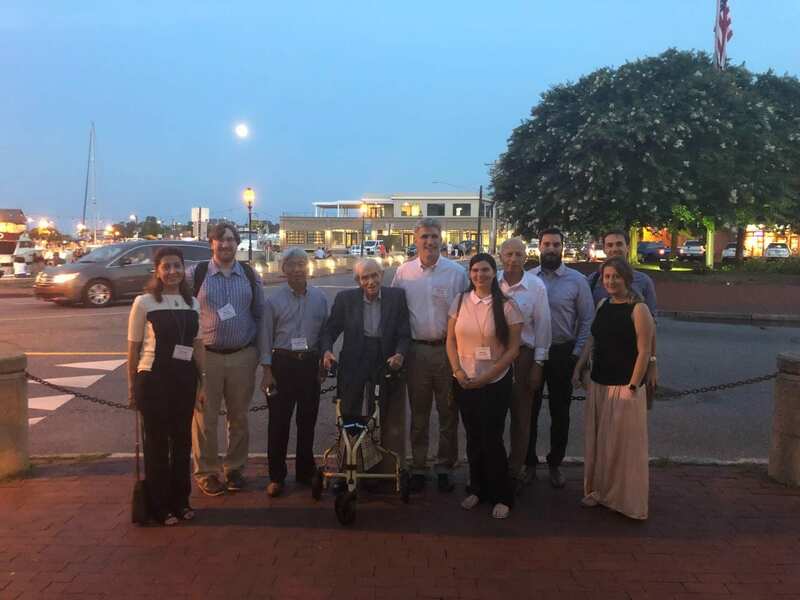 Professor Silverman and his former students Byron Lambert and Fuh-Wei Tang (both at Abbott Vascular) joined current and one former member of the Al-Sheikhly lab group after the banquet on the streets of Annapolis for a photo to commemorate the occasion. More information on the conference can be found at icip2018.umd.edu . 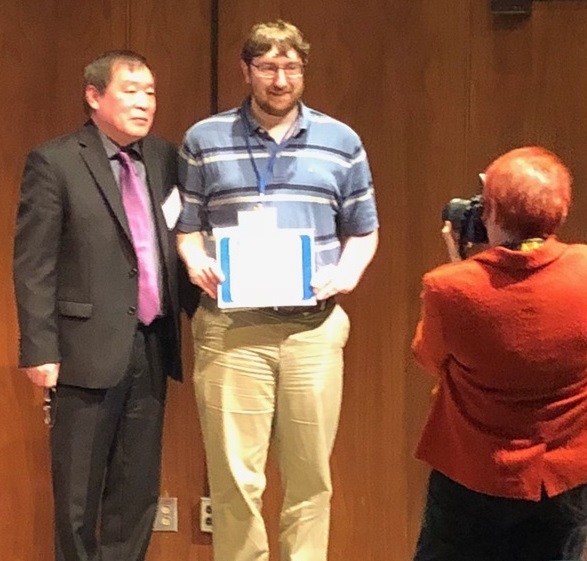 This past Monday, April 16th, Kevin presented his research on radiation grafted, polymer electrolyte fuel cells to the attendees of the 26th meeting of the Council on Ionizing Radiation Measurements and Standards (CIRMS) in conjunction with his acceptance of the CIRMS student award. Kevin can be seen receiving his award certificate from CIRMS President Dr. Zhichao Lin in the photo to the left. 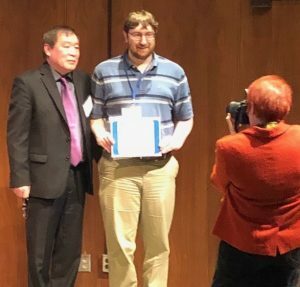 Kevin Mecadon was awarded a 2018 Student Travel Grant Award by the Council on Ionizing Radiation Measurements and Standards for his abstract submission entitled, “Radiation Grafting of Ionic Liquids to Synthesize Polymer Electrolyte Membrane Fuel Cells.” Not only will Kevin be provided funds to travel to and attend the conference, which is being held at the National Institute of Standards and Technology, he will also give a short presentation and present a poster at the conference as an attendee. Congratulations Kevin! 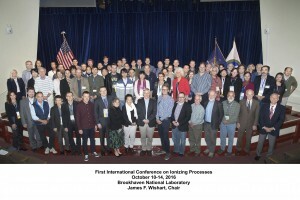 This past week, Prof. Al-Sheikhly, Dr. Dianne Poster, Dr. Ileana Pazos, and Travis Dietz attended the International Conference on Ionizing Processes at Brookhaven National Laboratory. At the conference Travis presented his work on uranium extraction and Dr. Pazos presented her work on nanogel synthesis in both poster and presentation formats. The conference focused on the impacts of science related to the fundamental chemical, physical, and biological effects induced by ionizing particles and photons, especially in relation to medicine and industry. 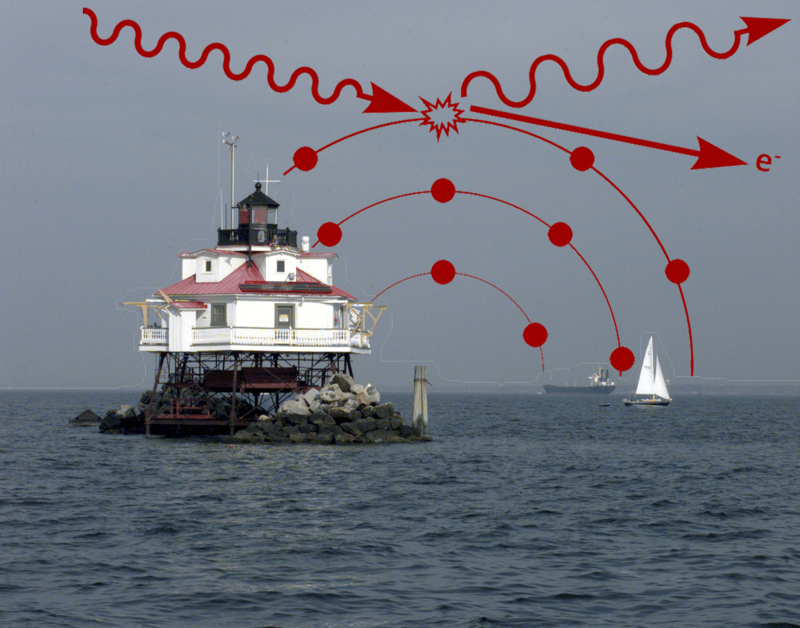 From July 19th through July 22nd, the University of Maryland and the first “International Conference on Seawater Uranium Recovery,” a conference dedicated to the sharing of science and ideas surrounding the extraction of uranium from seawater. Attendees will include scientists from across the country and the globe from both universities and national laboratories. 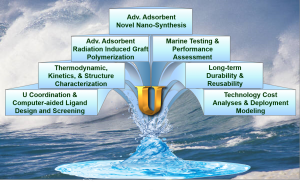 The conference will have a number of themes including (1) Uranium Coordination Chemistry and Computer-aided Ligand Design; (2) Thermodynamic, Kinetics and Modeling of Uranium Sorption Behavior; (3) Adsorbent Synthesis and Structure Characterizations; (4) Materials Performance Assessment in Seawater; and (5) Marine Deployment and Technology Cost Analyses. The majority of events will be hosted in the Kim Engineering Building. Registration for the conference can be found on the conference website. 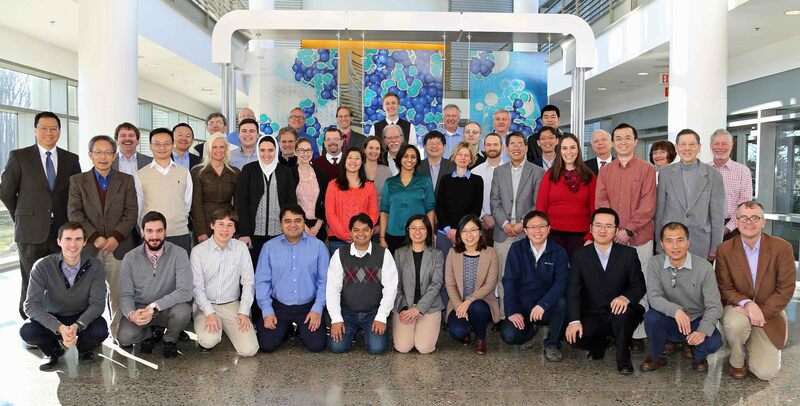 This past week, group members working on the Uranium Extraction from Seawater project attended the semi-annual project meeting at Oak Ridge National Laboratory. The meeting was an excellent opportunity to discuss the project with numerous experts in the field from universities and laboratories across the country. 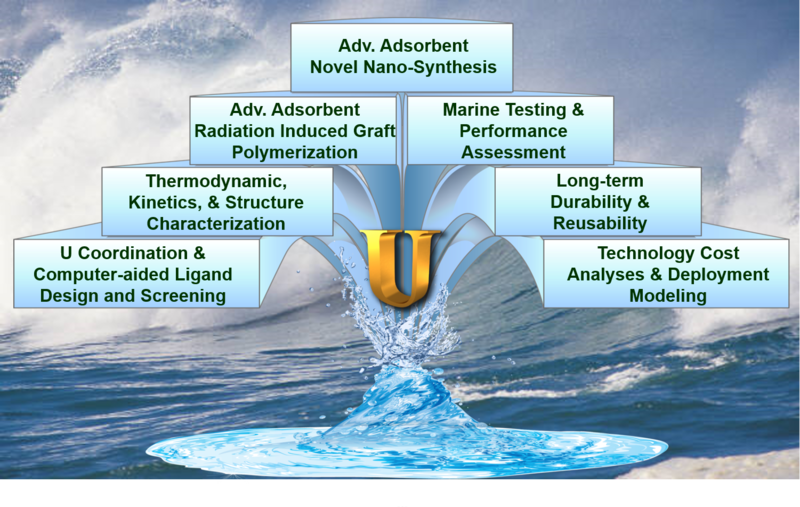 On August 6th and 7th, the University of Maryland hosted the August PI Meeting for the Uranium Extraction from Seawater project group. 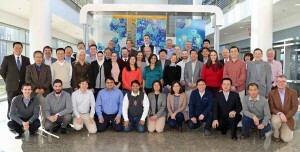 Over the course of the two days, primary investigators, or representatives from their labs, from different institutions around the country presented the most recent advancements in their work. The meeting also included a trip to a Maryland crab house for some local cuisine and a tour of the group’s EPR and biolab facilities as well as the Maryland Nanocenter AIM Lab with Professor Salamanca-Riba. This week Professor Al-Sheikhly has been invited to and will speak at the 15th annual International Congress of Radiation Research in Kyoto, Japan as an Eye Opener for the Chemistry, Radiation Chemistry and Radiation Processes section of the conference.